Are you stuck in a rut with your workout or maybe sick of the same meals over and over again? Get amazing personalized shopping lists, meal plans, recipes and workout routines with a click of a button. 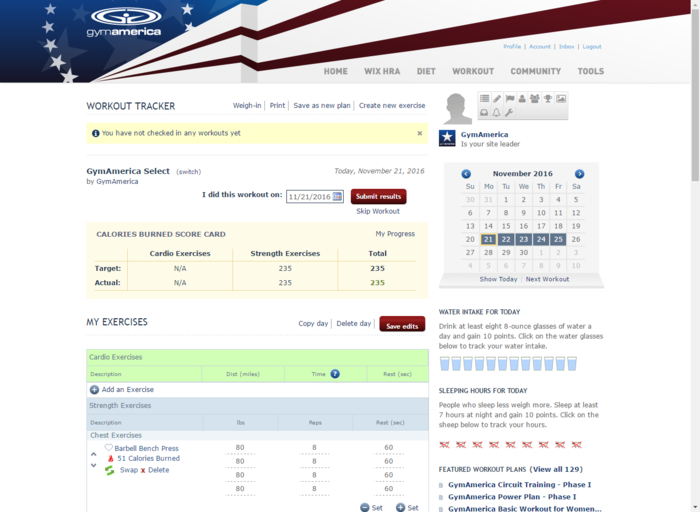 It’s almost like having a personal trainer at your fingertips, on your schedule! Reach your goals in less time! Introducing GymAmerica. 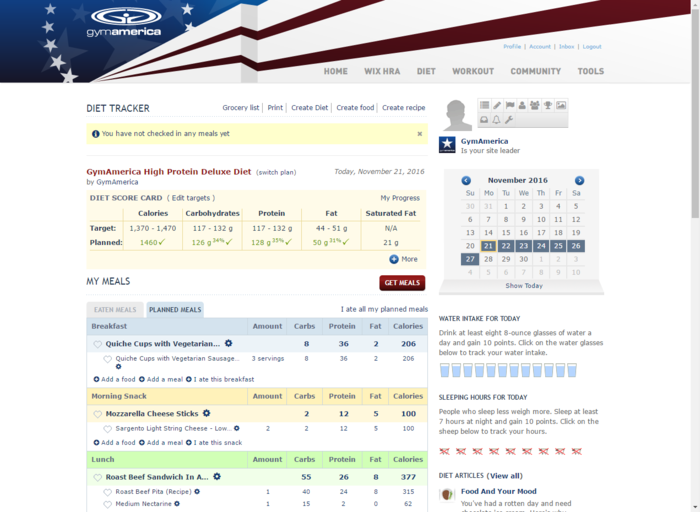 GymAmerica is the all-in-one interactive toolkit for the personalized diet and exercise program made to fit just one person: you. It features Genesant’s state-of-the-art nutritionist and personal trainer software, honored by Forbes magazine with its “Best of the Web” award. If you’re a starting out in your journey to a better you, no problem! You can Find a free plan that best fits your needs. Then use the free calorie counter and food diary to count your calories, carbs, fat, protein and more. Our free diet plans are organized with the GymAmerica diets at the top, but you can search for a wide variety of different diet plans to suit your needs. You don’t need to have a gym membership to benefit from GymAmerica either! Whether you’re looking for a good fitness workout, a gym workout plan or simply the best workout to lose weight, GymAmerica has what you’re looking for at home or in the gym. GymAmerica’s normal price is $89.99 for a year (or 12.99 per mo) of their Exercise & Nutrition programs. With your Med-Sense membership you get access to this benefit for a free 10 day trial and then only $19.99 for 3 months! That is like getting 2 months for free! This program has been selected by Forbes magazine as a Best of Web site for nine consecutive years. Their online fitness plans can be customized for beginner, intermediate and advanced users — not one size fits all. Each plan is customized to a user’s BMR and weight loss goals — just like a dietician does. GymAmerica is one of the best online personal trainer artificial intelligence system that will push you toward your goals. What else is included in this benefit? Stop getting stuck in the cycle and rut of trying to achieve a healthy lifestyle day in and day out!